You Are Here: Home → Sweat Rash in Female Groin: learn how to get rid of? Sweat Rash in Female Groin: learn how to get rid of? 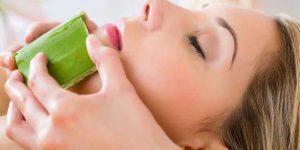 1 In this guide, You will identify sweat rash in female groin in greater details and consider the right treatment for it. 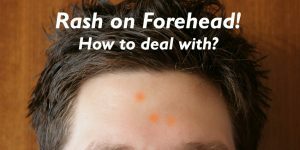 1.1 At First, What is Heat Rash? 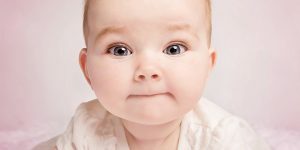 3 What are the causes of sweat rash in female groin? 4 How does sweat rash in female groin look like? 5 How to Identify Groin Sweat Rash? 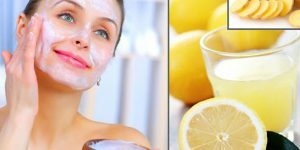 6 How to treat Groin Sweat Rash? 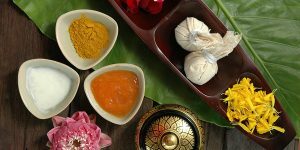 In this guide, You will identify sweat rash in female groin in greater details and consider the right treatment for it. At First, What is Heat Rash? Heat rash occurs when sweet ducts are trapped under the skin in which sweet can not reach the surface of the skin. So the rash is there by bumps appeared on the skin. 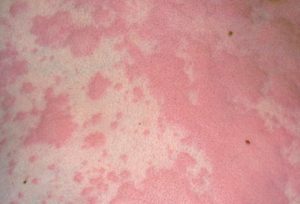 There are a lot of types of heat rash appeared on the body such as heat rash under breast and heat, sweet rash in groin. The groin area has a constant supply of moisture in the form of perspiration. This moisture content is higher in summers and even in winter when you wear several layers of tight clothing; it’s a great chance for rashes to rise! Sweat rash in female groin is the most common type of rash in groin area; it is annoying in which it is itchy and painful and those who are suffering from sweat rash in female groin can not feel comfortable at all! What are the causes of sweat rash in female groin? As above-mentioned, the weather, winter and summer, can be a great cause of sweet rash in female groin. 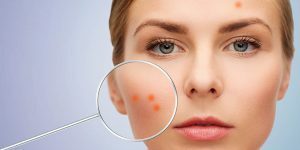 In addition, the type of clothes has a huge effect on causing such rashes. For example, tight skinny jeans or nylon underwear are not friendly to your skin; therefore, wearing such things will cause Sweat rash in female groin. How does sweat rash in female groin look like? Sweat rash in female groin has the shape rashes that appear in different ares on the body in the sense that it consists of bumps, itchy and painful bumps. 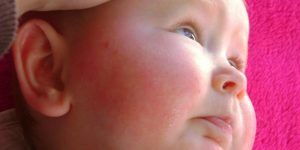 This type of rash usually develops during the hot weather and it is mostly found on active people, babies, and people who are bedridden. 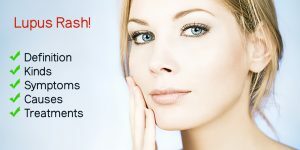 Yet you do not have to worry since there are different treatments for Sweat rash in female groin. How to Identify Groin Sweat Rash? 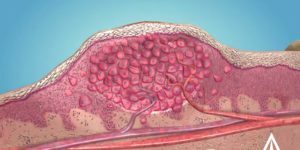 Because there are many skin conditions can rise rashes in the anogenital area especially in women, it’s a little bit hard to clearly identify the type of this rash. 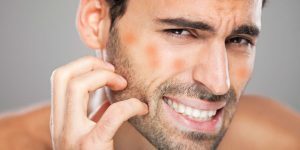 These types of rashes occurs when the pH is affected due to fungus or yeast which increases for some reason such as taking antibiotics. This groin rash develops when the skin of the inner thighs rubs against each other. Even though this fungal rash is more common in males, it can also affect females. 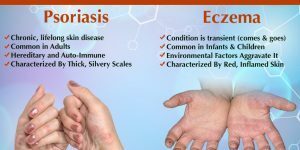 It is caused due to a fungal infection caused dermatophyte fungi. in females, rashes can develop in the groin area because of chaffing due to tight skinny jeans and nylon thongs or underwear and razors that used for shaving. So, be careful that rashes in groin can develop due to many skin conditions. 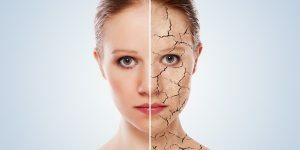 The main difference between these condition and sweat rash is that the latter occurs due to hot and humid environment when the sweat glands are blocked and the sweat has no outlet. 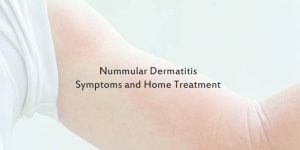 So, it is common to form blisters or pustules in the afflicted region. The itchiness of groin sweat rash seems like a minor inconvenience; however, the symptoms may be a signal of more serious condition that may require seeing your doctor. Don’t self-diagnose your rash. So, If you develop a rash in the groin area, talk to your doctor. Doctors will be able to determine whether it is sweat rash or not and suggest a remedy to relieve your symptoms. How to treat Groin Sweat Rash? It is nothing to worry about. The main problem you may face with sweat rash in groin is usually the itching. Groin sweat rash can be treated by a over-the-counter creams, including Canesten hydrocortisone to ease the itching), Daktarin cream or Lamisil cream. 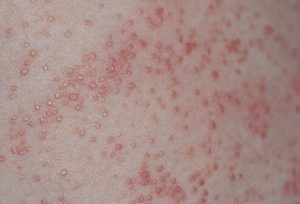 In addition to the previous creams, you need to know how to deal with this type of rash. You should make sure that you dry the area carefully after showering. You can use some talcum powder after you have applied the cream may help. Also, it is better to wear boxer shorts than Y-fronts. If your Sweat rash in female groin does not clear up with one of these treatments, go and see your doctor. Sweat Rash Treatment: No longer worries. Heat Rash under Breast, How to Get Rid of? 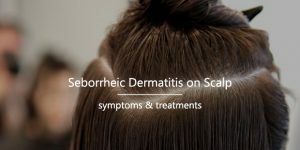 What’s Causing Seborrheic Dermatitis on Scalp? 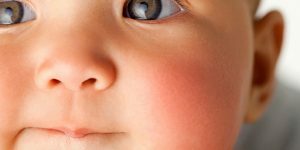 How To Deal With Baby Allergy Rash? 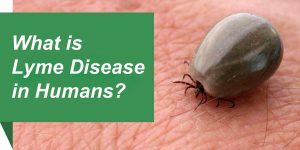 Lyme Disease: What is Lyme Disease in Humans?